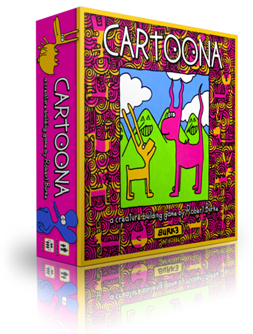 Cartoona is the flagship boardgame of pop-artist come game designer Robert Burke. 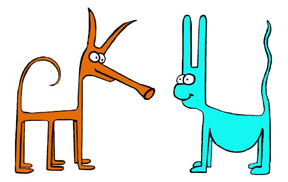 A tile-laying, game where players score points as they build ever expanding zany-creatures using creativity and strategy. As the rules cater for 1 to 8 players, this game seems to be a clourful 30 minute adition to any gamers cabinet looking for a fun filler game or something to play along with the kids. Rules are included for player vs player and team modes. Currently all 75 spaces in the $15 “early bird” copies have been sold out, but you can head to the Cartoona Kickstarter page and pledge a copy for $25.